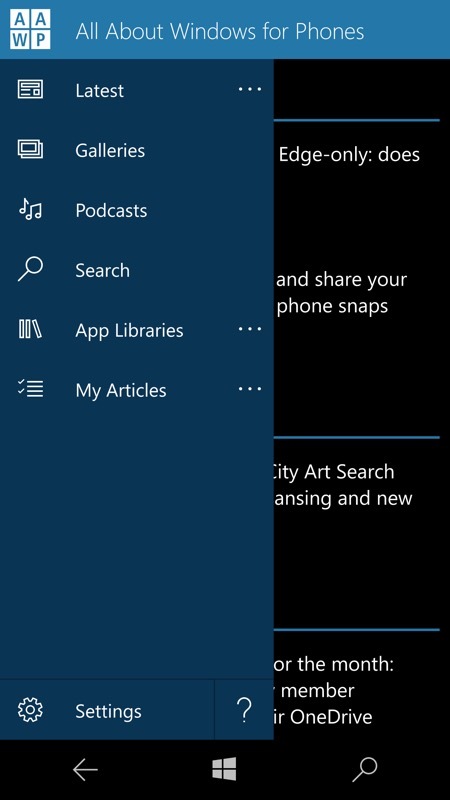 There has been another significant update to AAWP's own (ahem) much praised UWP application for Windows 10 Mobile. 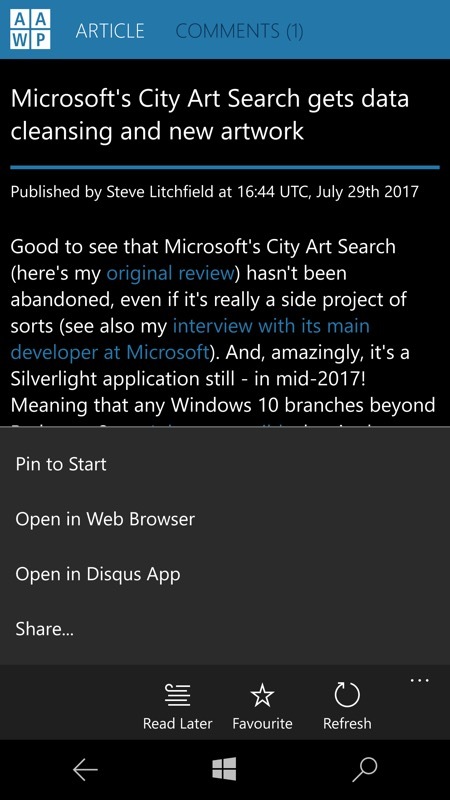 AAWP Universal v1.6 adds full 'Read Later' and 'My articles' functions, plus searching is now all within the application. Thanks (a million) as always to Joe Blumenow.. Fixed issues parsing articles with bullet lists under certain scenarios. 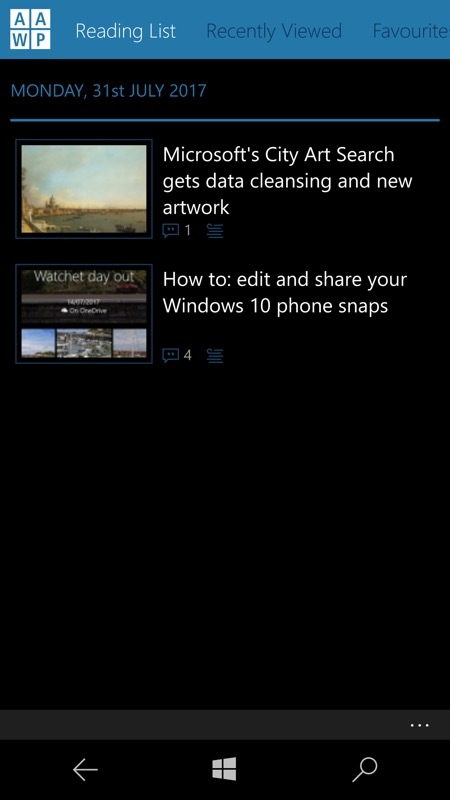 Added new read later option to articles. Marking articles to read later will sync across devices and will also save your current reading position. 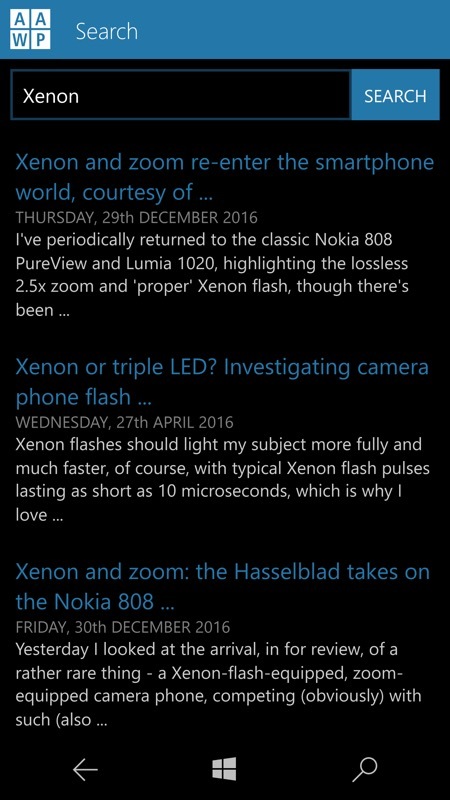 Added new 'My Articles' menu item, which is now where favourites, read later and recently viewed articles live. 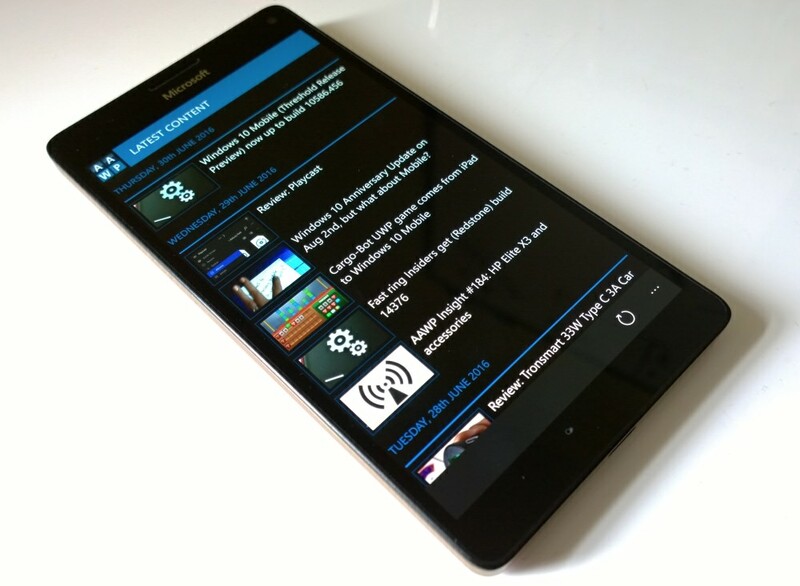 Updated article feed lists UI - particularly at larger display sizes. 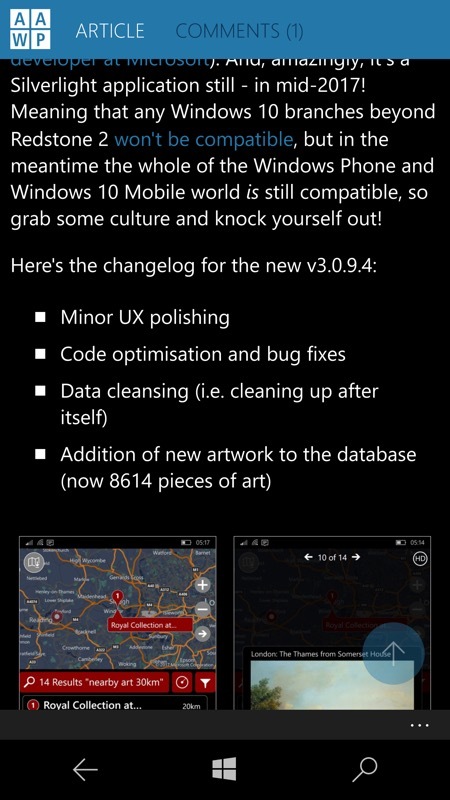 Loads more smaller updates, tweaks and fixes throughout. 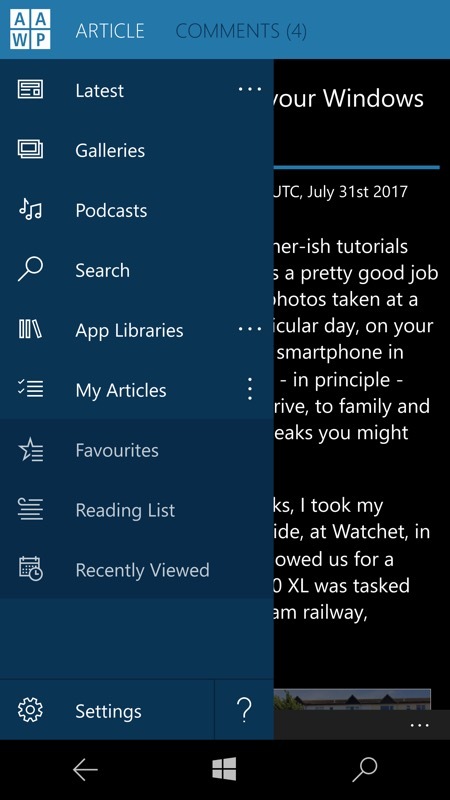 On the hamburger menu is 'My articles', with 'Reading List', containing all the articles you want to get back to and read properly when you have time. Also on the main menu is Search, but this no longer relies on the Google site search - it now leverages Bing and is fully integrated into the AAWP Universal application. You can grab or update 'AAWP Universal' from the Store here, it's a free download. Why not add your own rating of 'AAWP Universal' (in the Store) and leave a text review? It all helps discoverability! Comments welcome for Joe, he'll read and take it all in, we promise! PS. Don't forget to donate to Joe from the Settings screen's toolbar - virtual pints of beer to him help keep the app updates coming (and also remove what remaining ads there are from the site). PPS. By the way, aside from Rafe being in the podcasts, virtually all the content for AAWP is now being written by me, as you've probably gathered. I/we'd love to have some more guest articles in 2017, so do please get in touch if there's a topic, device or application that you feel strongly about. You can reach me at slitchfield@gmail.com .